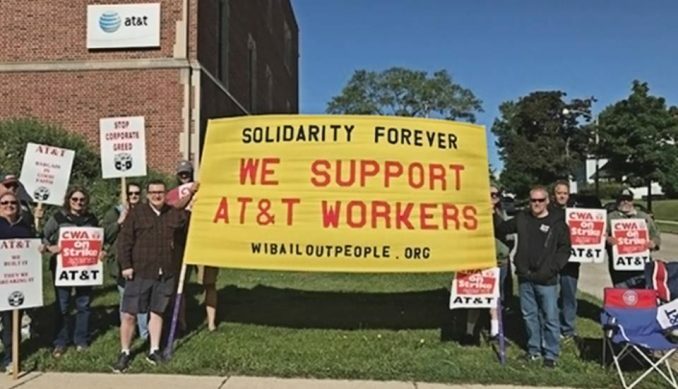 June 4 in Wauwatosa, Wis.
About 14,000 AT&T phone service technicians and call center workers in five states have walked off the job in an unfair labor practice strike. These members of the Communication Workers in Indiana, Illinois, Michigan, Ohio and Wisconsin began picketing May 31 after the company engaged in an illegal “unfair labor practice” known as “direct dealing.” Bypassing the union’s bargaining committee, AT&T sent emails directly to workers to try to get them to accept a final contract offer. 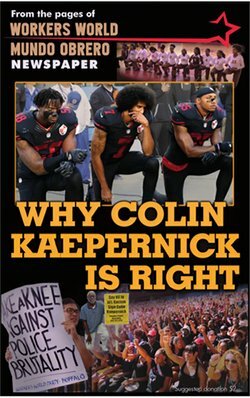 AT&T’s action exposes how companies try to undermine and bust unions. But an advantage for workers in a ULP strike is that it is illegal for companies to fire workers or permanently replace them during the strike. Companies cannot use replacement “scabs,” and striking workers can collect unemployment benefits. The current contract expired in April. The biggest issue is the outsourcing of call center jobs. The company promised to hire thousands of workers with the windfall in profits that came from Trump’s corporate tax break. Instead, thousands of workers have been laid off as call center jobs are outsourced to low-wage countries. After the federal tax bill was passed, AT&T announced it would close its Detroit call center, throwing 100 workers, with 15 years or more seniority, out on the street.